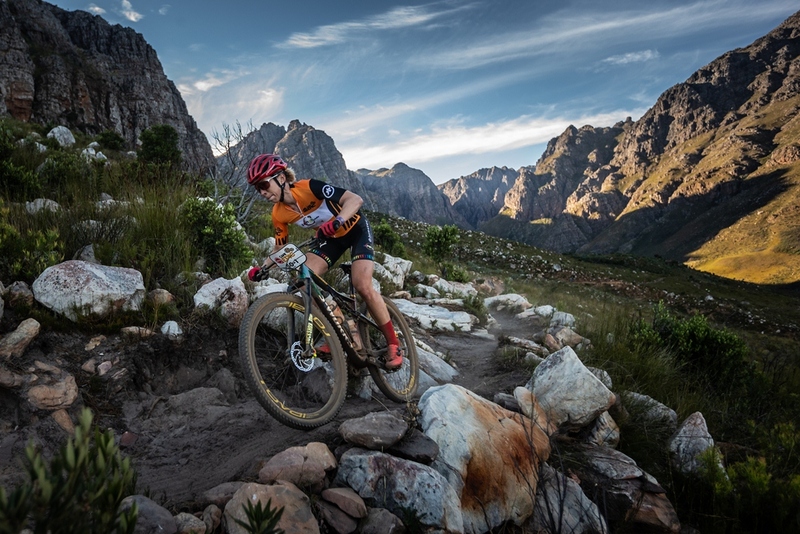 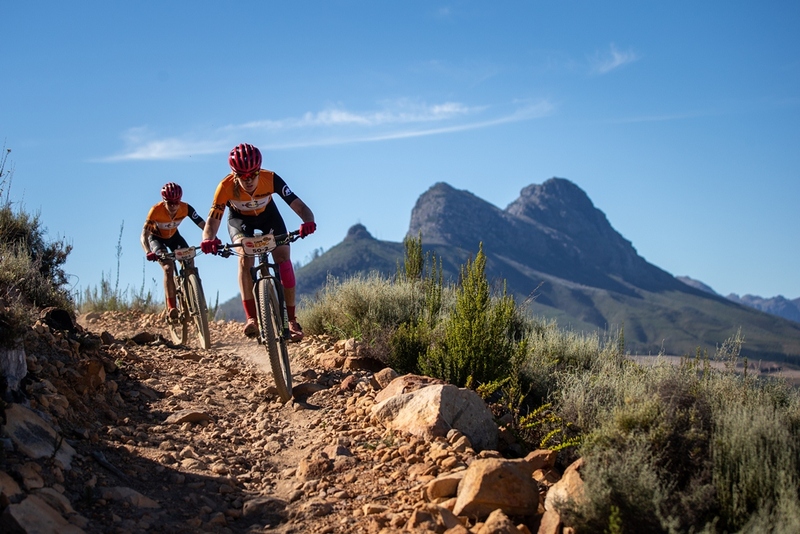 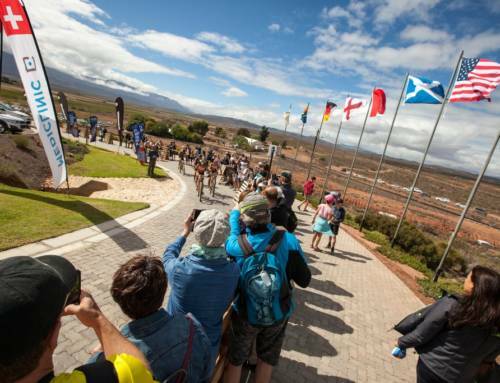 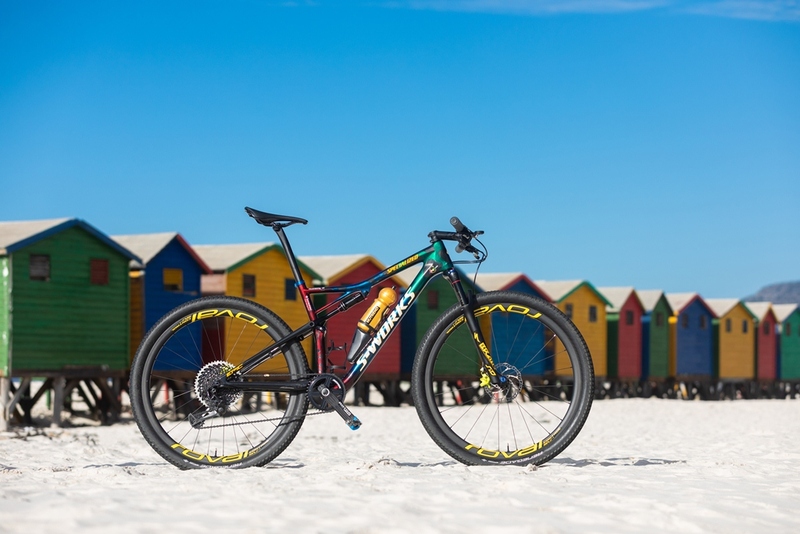 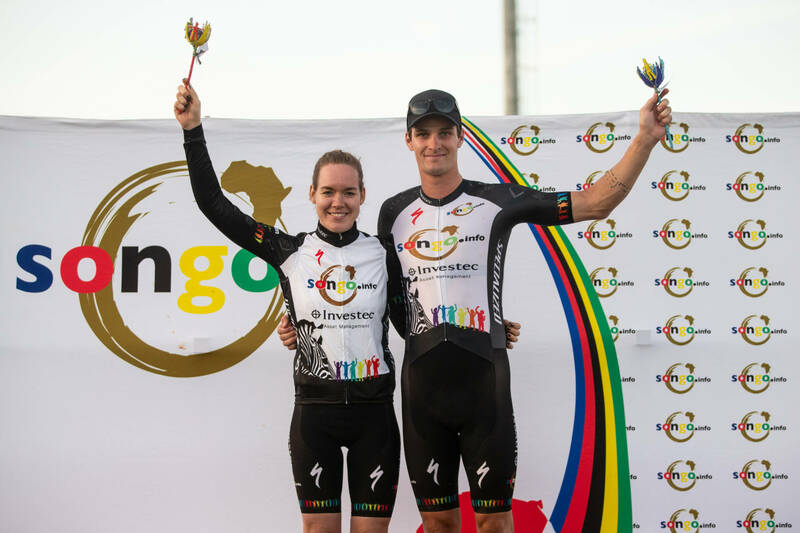 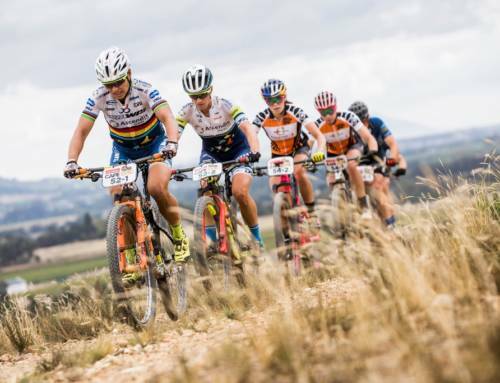 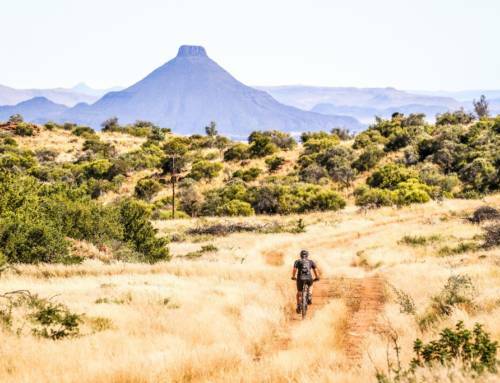 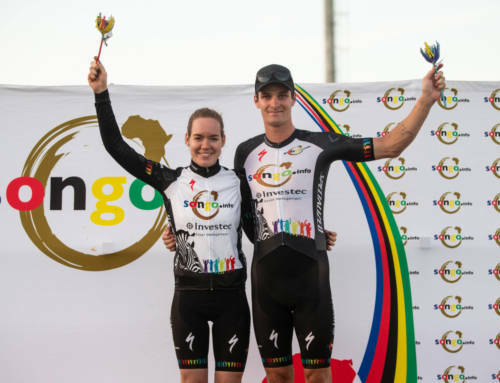 Anna van der Breggen leads Annika Langvad down a technical singletrack on Stage 6 of the 2019 Absa Cape Epic. 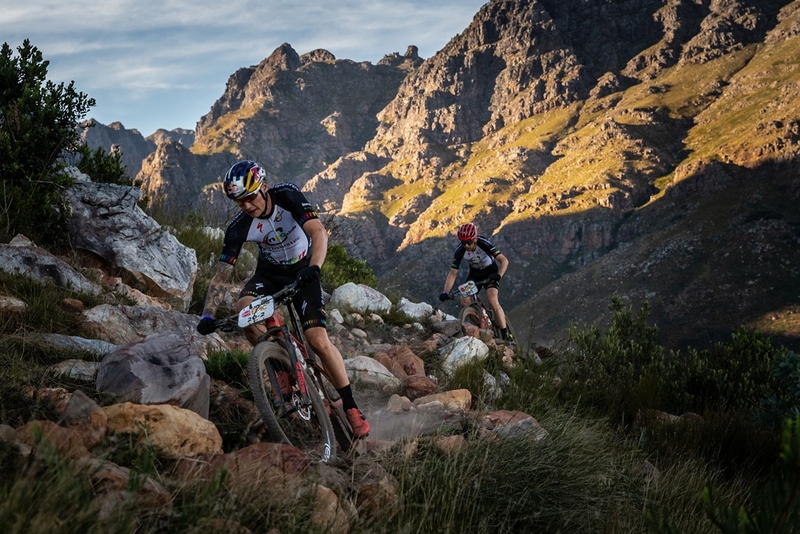 Photo by Michal Červený. 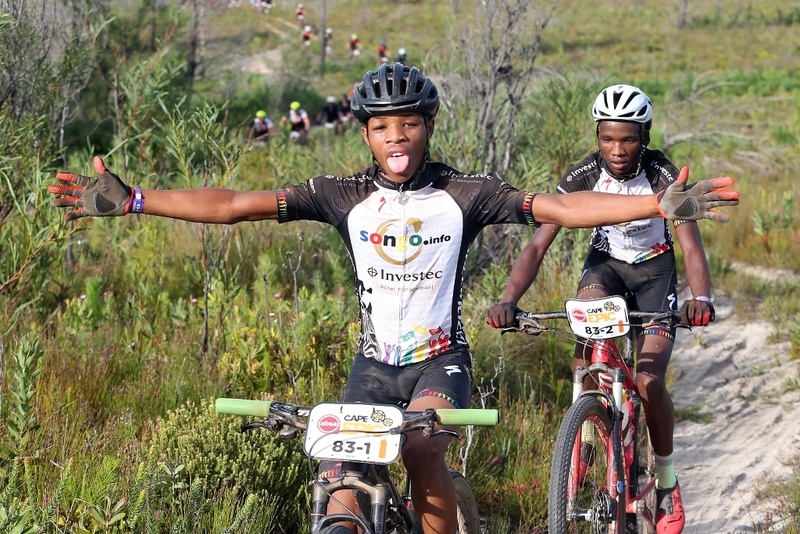 Ntlantla Nonkasa and Lwazi Ntsakaza loving their Absa Cape Epic experience. 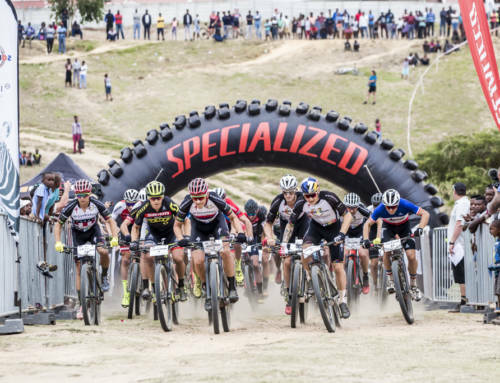 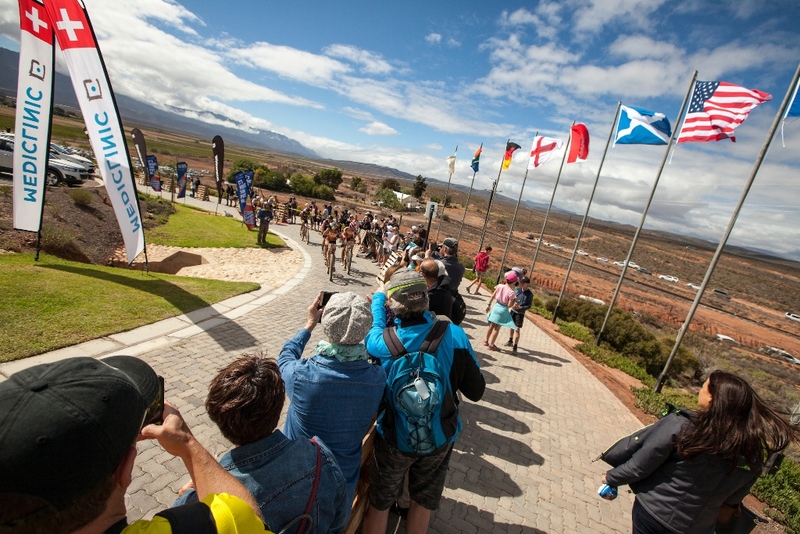 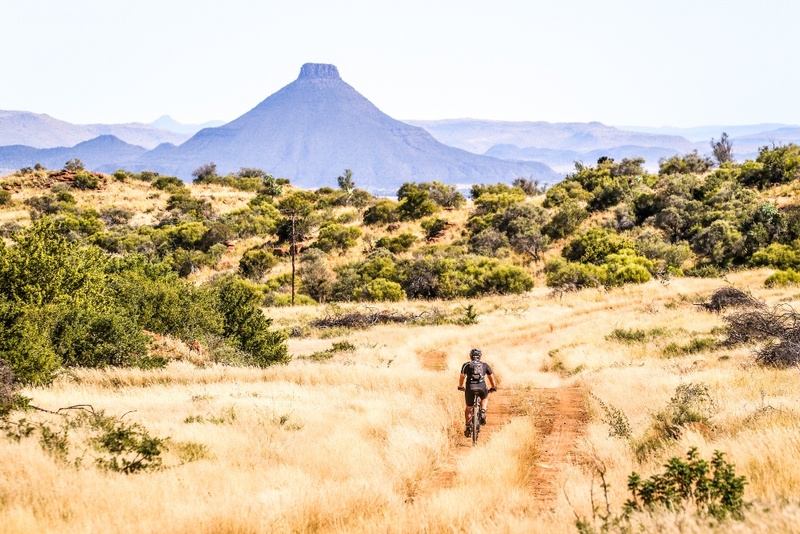 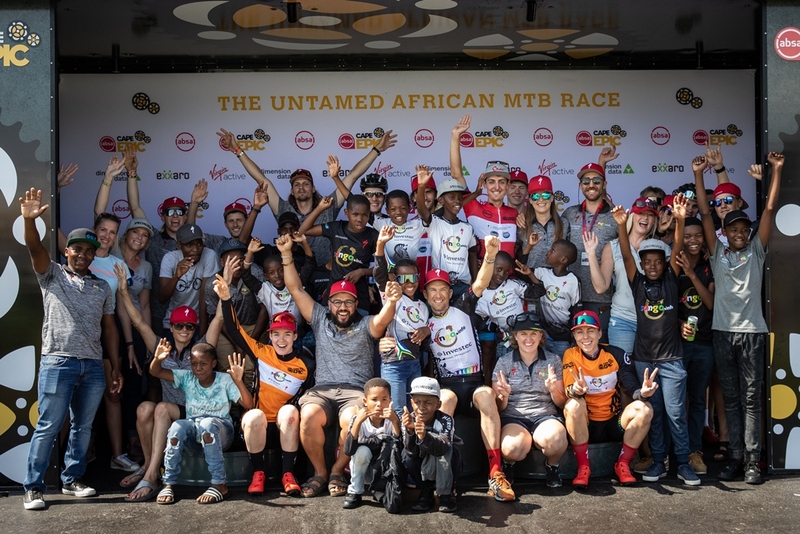 Photo by Shaun Roy/Cape Epic. 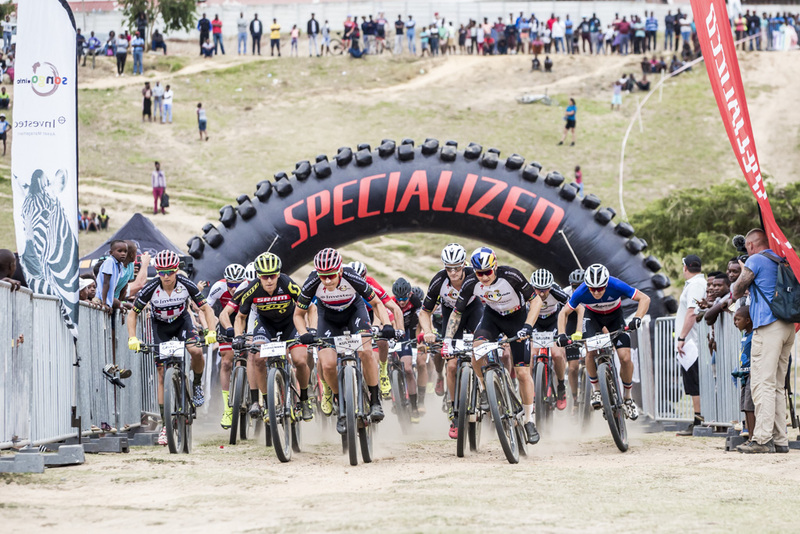 Simon Andreassen and Christoph Sauser raced to a very credible fourteenth position on the final general classification standings. 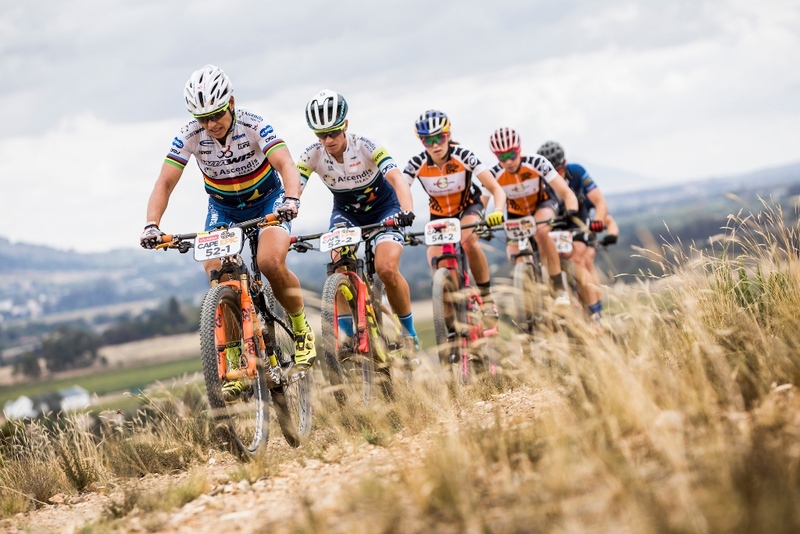 Photo by Michal Červený. 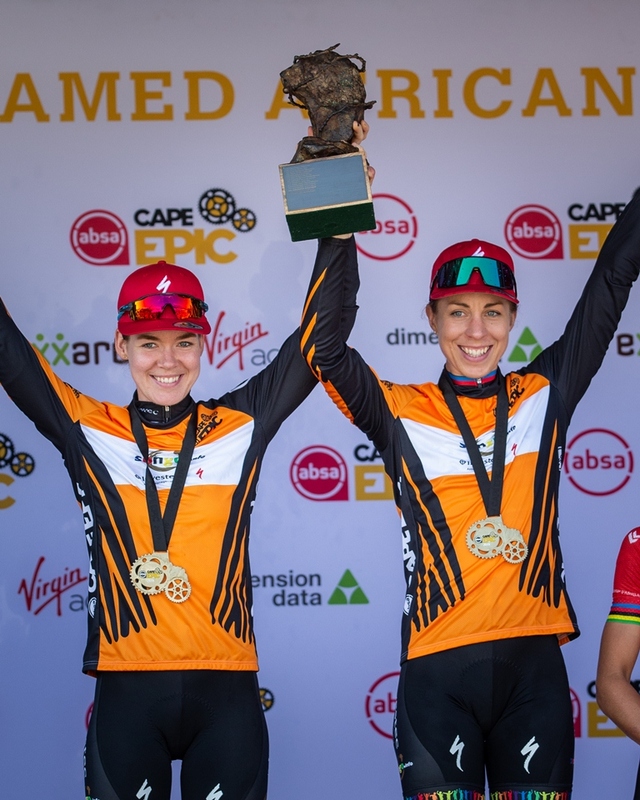 Annika Langvad’s and Anna van der Breggen raise the UCI women’s trophy aloft. 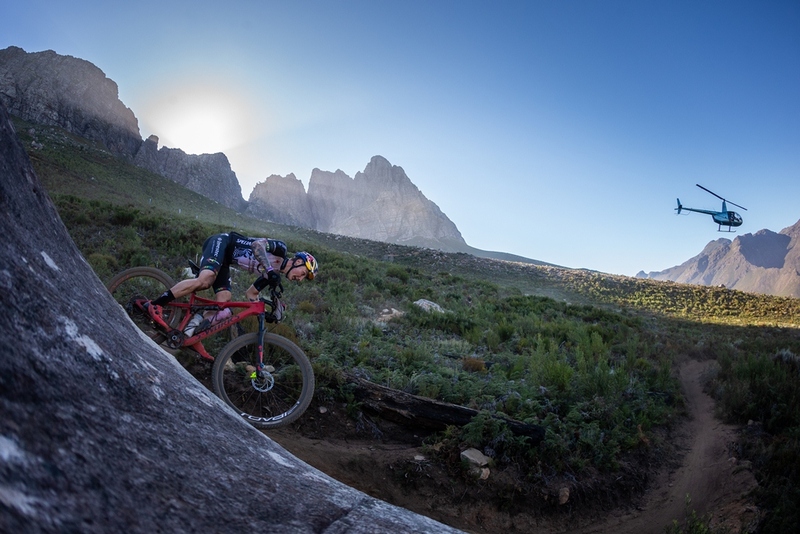 Photo by Michal Červený.